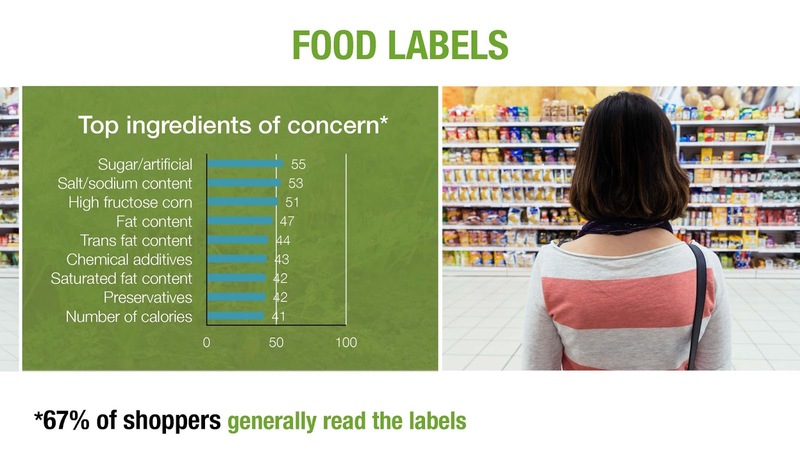 Did you know that 73% of consumers find it important that they recognize a product’s ingredients? It is no wonder that the overlying theme of IFT 2016, the annual meeting and food expo of the Institute of Food Technologists to be held in Chicago July 16 to 19, will be clean, simple and consumer-accepted ingredients that enable scientists to develop foods that consumers want to purchase, foods that make consumers feel they are investing in their health. Along with clean-label ingredients, expect many of the prototypes showcased at IFT to focus on protein content. Sourced from insects, pulses, chickens and cows milk, isolated protein ingredients will be demonstrated in all types of foods and beverages, including inherently nutritious dairy foods, which are attractive delivery vehicles for dietary components with recognized health and wellness benefits. Formulators walking the expo floor will learn about adding, subtracting and delivering consumer-desired benefits in health and nutrition. Today’s consumers want added nutrition from ingredients such as protein and fiber, and less or no sugar, fat and calories…all while maintaining a clean ingredient statement. That’s what you get with Brio frozen dairy dessert, which was recently honored with three industry awards. The premium-style dairy dessert was honored by the National Restaurant Association’s 2016 FABI (Food and Beverage Industry) Awards, Engredea’s 2016 NutrAwards and Delicious Living magazine’s 2016 Supplement Awards. “We’re thrilled to be selected by these influential industry experts, and to see Brio recognized for its cutting-edge, better-for-you ingredients,” says co-founder Arnie Koss. It’s just what consumers are looking for! Driven by their passion for healthy and innovative foods, the Koss brothers--who also founded Earth’s Best Baby Food--spent 10 years perfecting Brio. The result is a treat that’s indulgent yet guilt-free, made with organic whole milk from pasture-raised cows and premium, non-GMO ingredients that together bring the flavor and nutrition. Brio has 20% less calories and half the fat of typical brands, delivers balanced omega-3, 6 and 9 fatty acids, and is rich in antioxidants, protein, probiotics, micronutrients and calcium. The three recent wins come on the heels of Brio’s product line upgrades and package redesign, which were unveiled at Natural Products Expo West in early March. The re-formulated product line comes in six varieties: Coffee Latte, Madagascar Vanilla, Mellow Dark Chocolate, Spring Strawberry, Tropical Mango and Vanilla Caramel. The certified gluten free and certified kosher products do not contain any artificial colors, flavors or sweeteners. 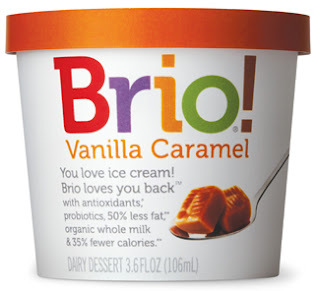 Brio comes in 3.6-ounce single serve packs with convenient built-in spoon, as well as 14-ounce multi-serve containers. Both an indulgent dessert and a smart, satisfying anytime snack, Brio expands the eating occasions for ice cream. It stands on its own as a mid-morning or mid-afternoon refreshment, makes a nourishing afterschool treat for kids, provides a nutrient-rich boost in smoothies, serves as a delicious meal supplement alternative, and even acts as an electrolyte-rich post workout replenishment for athletes. Brio is the ideal example of what today’s shopper is looking for at the supermarket. 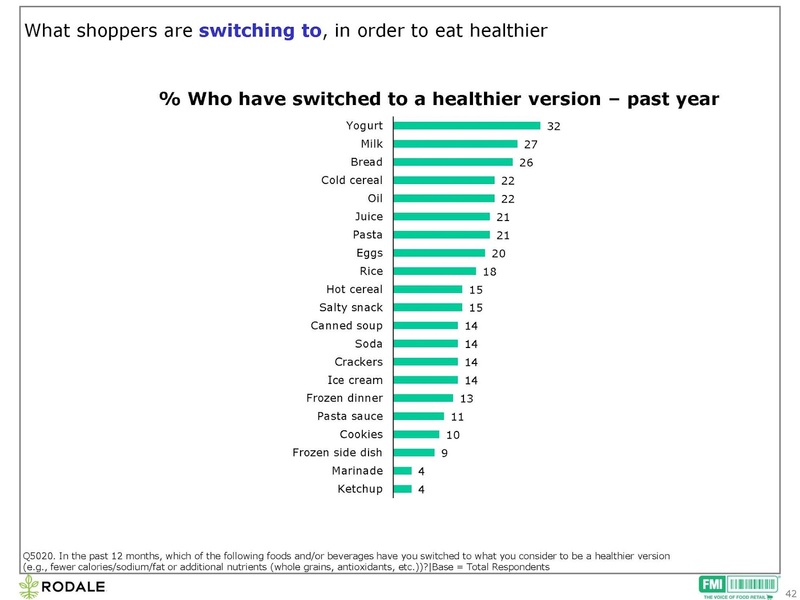 Shoppers understand the important role food choices play in their health, yet still struggle to make changes to improve their food selection, according to results presented in the 2016 Shopping for Health Report, compiled by The Food Marketing Institute and Rodale, publisher of some of the largest, most established health and wellness lifestyle brands including Prevention, Men’s Health, Women’s Health and Runner’s World. The studied was based on an online survey of 1,404 Americans, which took place mid-November 2015. Data show that more than half of shoppers consider themselves overweight and say they need motivation to help them eat healthfully. Similarly, parents want to have more family meals each week and are looking to food retailers to assist them. Nearly two in three (62%) view the food they eat as medicine for the body and, as such, try to buy a mix of foods that will offer different health benefits (67%). 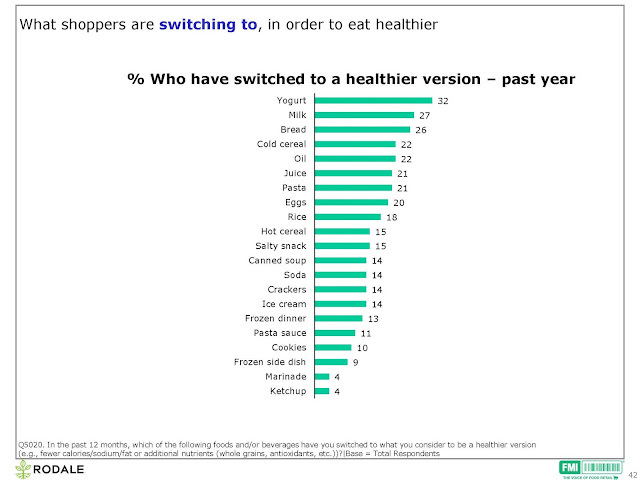 Three in four shoppers (73%) switched to a healthier version of at least one type of food, with yogurt (32%), milk (27%) and bread (26%) topping the list. Two in three (67%) read food labels to see what is in the foods they buy, with sugar (55%), salt (53%) and high fructose corn syrup (51%) topping the items looked for on labels. When it comes to organic, 61% of shoppers have purchased organic items in the past six months (up from 46% two years earlier) and most (54%) bought organic in the past 30 days. 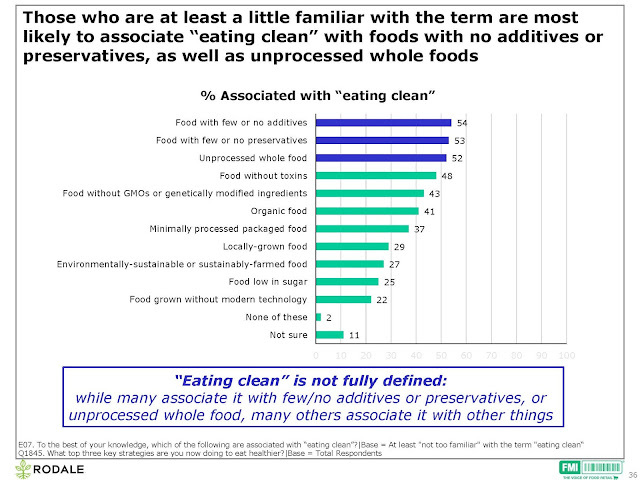 Most (57%) are at least somewhat familiar with the term “minimally processed foods” but few are very familiar (14%). Among those familiar, 30% say they look for minimally processed foods often, if not all the time. 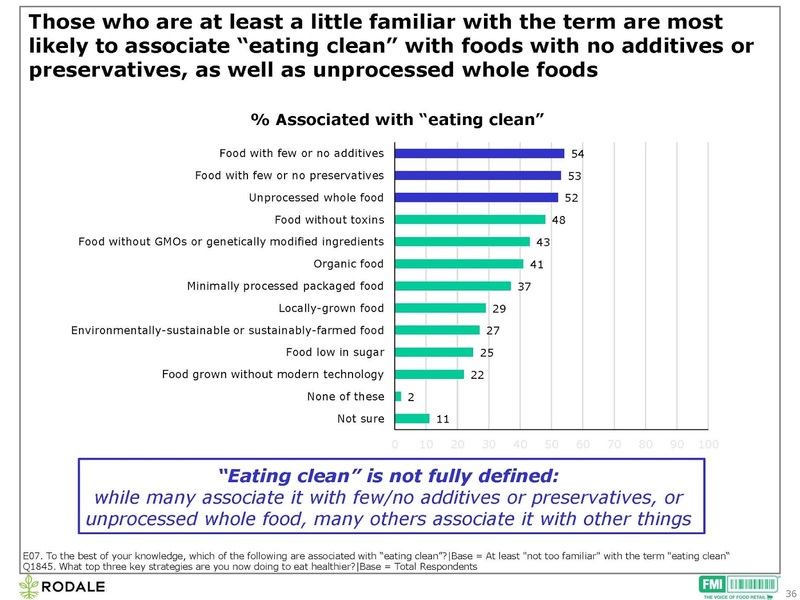 Fewer (41%) are at least somewhat familiar with “eating clean,” but again, few are very familiar (14%). Among those familiar, 36% say they look for foods to help them eat clean often, if not always. Millennials are more likely to have bought organic (75%), and more are familiar with GMOs (74%) and the terms minimally processed food (67%) and eating clean (66%). These are the ingredients to look for at IFT. Hope to see you in a few weeks.